This topic is only vaguely related to my hobbies. I’ll try to make it come to a full circle in the end, but no promises! I’m in a kind of melancholy mood and I wanted to write about it. I have anxiety, though I feel like everyone has anxiety to some degree. The level of my anxiety can range from simple everyday worries, to full blown panic, to a constant sense of unease or general wrongness. I have social anxiety as well, where I’ll type something or say something and then endlessly think about what I’ve said or typed when it’s too late to take it back… and then I think “Whhyyyy did I sayyyy that??? ?” /cringe /derp /facepalm /g2gkthxbai4ever. So awkward. … times infinity. This is probably why a lot of my hobbies are solo hobbies (crocheting, reading, blogging, doll collecting and appreciating). When it comes to hobby-related stuff, I start to doubt my enjoyment of the activity and its value to me. I’ve struggled with anxiety probably my whole life. I say “probably” because it’s really hard for me to say when it all started. Until a few years ago, I always assumed that the way I was feeling was normal, because how would I know otherwise? Since then, I’ve learned a few ways to deal with my thoughts (cognitive therapy really helped), and now that I’m able to recognize the feelings and thoughts for what they are, I also recognize that there are times I need to force myself to move despite my body telling me that it’s a good time to shut down (I have an awful relationship with sleep. When I want to sleep, it eludes me. When I want to stay awake, BOOM. Nap time.). Understanding that a lot of what I’m anxious about doesn’t often make sense (or at least the degree of my anxiety doesn’t make sense), and willing myself to do anything isn’t always easy. However, for me, the first step towards getting away from my dark place is doing something I generally enjoy, even though at the time it might not seem worth it. Sometimes, a distraction (whether it’s petting my furbaby, or redressing my dolls) is enough to recalibrate the brain and put things into perspective, at least for a little while. I’m still torn on what to name her. What kind of cognitive therapy did you do? The therapist I was seeing back then was kind of my emotional sounding board – kind of the rational voice that I knew I was lacking. She taught me exercises that helped calm me down, like spelling difficult words backward and controlled breathing (sounds silly but it works). She also helped me realize that I look inward too much, and I over-analyze everything I do, think, and say, and that kindness to myself is something I needed to work on, and still do. I like the sound of spelling difficult words backwards. I can see how that works. Hope you’re doing well! I know what you mean all too well; just about everything you described is something I’ve dealt with, too. (I still remember — and cringe at — conversations I had more than twenty years ago! I doubt the other person in the conversation even still remembers I exist, and yet I find myself wishing I’d handled the exchange better.) I should probably look into cognitive therapy, too; I’ve actually not heard of it before, but it sounds useful. Yeah sometimes it’s good to take a step back and reevaluate a conversation from an outsider’s point of view. It’s hard for me to get outside of my own head, but when I am able to be objective, I realize that what I might have said really isn’t that big of a deal and probably no one is tearing my words apart and combing through them with a fine toothed comb like I usually do. Also, it helps me to remember that what’s done is done (or said is said, lol), and in the end, everything is going to be okay or is okay. Writer’s block is a tough one though, and writing itself is a bit of a weird activity for me because it’s something I both enjoy and also something that causes a bit of stress when a blank screen is just staring back at me with that blinking cursor. Also, the procrastination is strong in me, especially when it comes to assignments (speaking from memories of when I was in school). I don’t have the Yeolume anymore, but from the photo it looks like the Pure Neemo XS girl body is a bit thicker in the torso and the legs. I want to say that clothes that fit Yeolume, might be too small for a Pure Neemo Body. I hope this helps! These are a bit rough measurements as all I have right now is a bit of yarn and a ruler. The real question is what to do if the Pure Neemo XS is a bit too big. I’d think shifting down to Picco Neemo would make it too *small*. There’s also the added concern that I have no idea what kind of heads would go with a Pure Neemo body anyway. 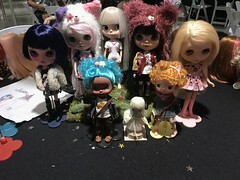 Some of the dolls came with hats, so it would need to be a fairly proportional head. Picco neemo is considered 1/12 scale I think, so it’s quite small. 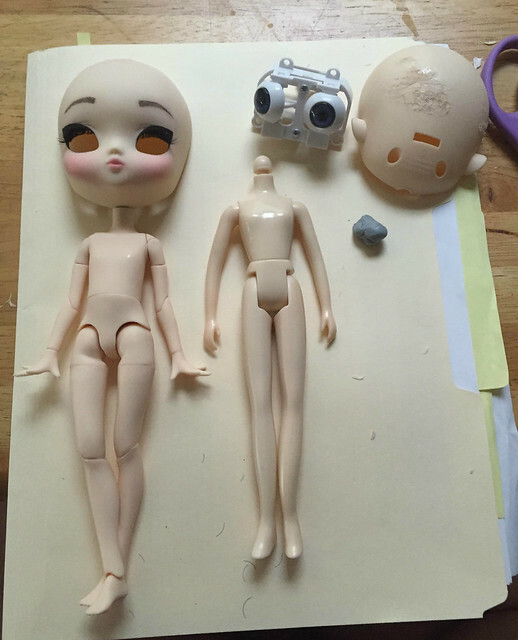 I’ve seen people swap out the middie body for the picco neemo. The pure neemo flexion line is 1/6 scale, and you could always change Pyrrha’a body to the pure neemo ^^, or stick the licca head on it, orrr also order an obitsu head and make a whole new girl 😀 . The last one is going to be my next project. I hope you feel less anxious everyday going forward. I have anxiety as well. I think hobbies help because it is an environment where I have most of the control so there is very little to be anxious about. I have used everything out there and I agree with you cognitive therapy is a great helper. I would also recommend biofeedback in case you haven’t tried that one. These days I am using deep breathing to unwind as well. It has been very very helpful. I’ll have to read about Biofeedback. I haven’t seen anyone on a couple of years as I’ve been better at keeping the anxiety in check, but lately I find that I have to tap into those calming techniques more and more often. Also thank you! 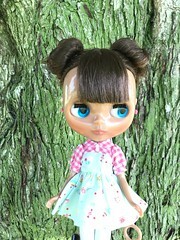 I’m surprised at how much I’m loving her and her painted expression/eyes. 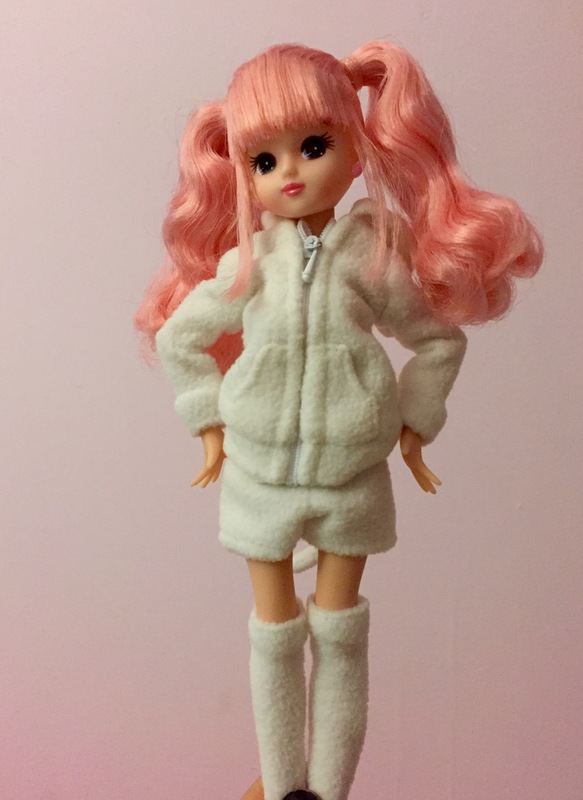 I’m thinking this licca girl is my gateway doll for azones, ruruko, and this new doll I saw on Instagram called redberrydoll. None of this bodes well for my wallet. This is a really old feed but I figured I’d leave some feedback letting you know how useful it was. 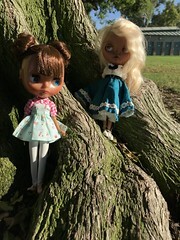 I think I’ve come to have more anxiety as an adult, and within the last year I’ve really started to love dolls. Butbi keep doubting my love for them because 1, this was never a hobby for me as a kid, and 2, I feel like people are and will judge me for it…. I know that’s no reason to believe I don’t enjoy he hobby, but gets hard sometimes.